On the 15th of May 2018, the conflict in and around the militarily encircled Libyan city of Derna escalated sharply, with rapid advances of the frontline, heavy armed group activity and unprecedented levels of shelling. According to OCHA, as of May 30th roughly 600-1,300 households have been displaced from outlying mahallas, or neighbourhoods, into central Derna. Driving force behind displacement has been the heavy bombardment of residential areas. To inform humanitarian response plans regarding the situation of Derna, REACH conducted a rapid situation overview on behalf of the Libya Inter-Sector Coordination Group (ISCG). From the 27th to 30th of May, with data collection support from the Libyan NGO Ofoq, REACH assessed the humanitarian situation in 11 of the 12 mahallas of the city. Data was collected through 32 multi-sector key informant interviews with, for example, community leaders, NGO staff, and medical professionals. Two thirds of the interviews took place face-to-face and the rest were conducted remotely. 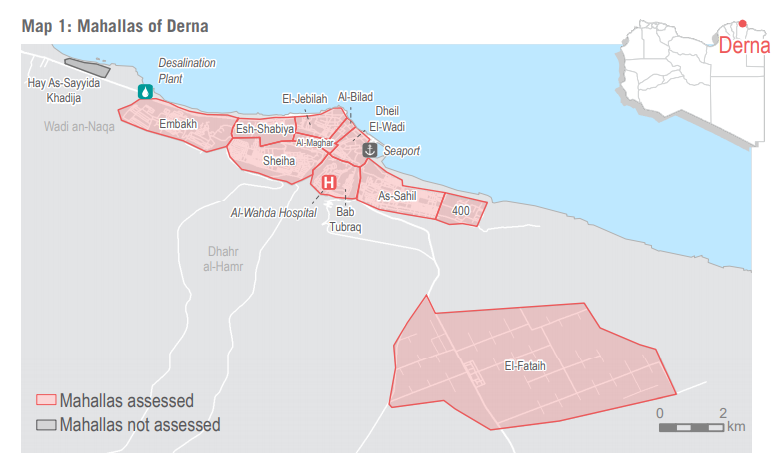 The assessment provides information on the needs of both displaced and non-displaced populations in Derna. REACH assessed the humanitarian situation in 11 of the 12 mahallas of the city of Derna. According to OCHA, roughly 600-1,300 households had been displaced from outlying mahallas into central Derna. The situation in Derna has been worsening steadily since the tightening of the siege in July 2017. According to REACH’s findings, the situation deteriorated even further following the clashes on May 15th. Since the recent events, the pace of internal displacement within the city has accelerated, with both displaced and non-displaced populations facing a breakdown of municipal services. The city’s only water desalination plant closed on May 29th due to insecurity, leaving the public water network largely empty. Lengthy power cuts have been frequent, key food and non-food items, including fuel, have been absent from markets, and only one hospital has continued to function. The hospital staff recorded severe shortages of generator fuel and medical supplies, and all assessed neighbourhoods were reported to be contaminated with explosive remnants of war. In spite of the critical situation, there have been signs of the opening of a humanitarian corridor. On May 31st, after weeks of movement restrictions, authorities announced that one of the city’s formal entry and exit points was to be opened daily to allow families to transit through. REACH will monitor the situation of Derna on behalf of the ISCG should clashes persist or escalate. The collaboration will continue to inform humanitarian planning and response. 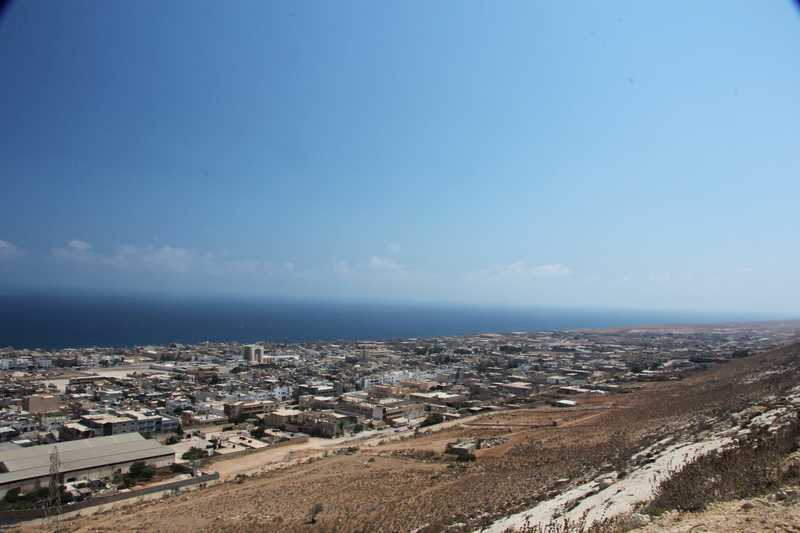 For a more comprehensive overview of findings from the assessment, please visit the REACH Resource Centre and read the full Derna Rapid Situation Overview.